December 21, 2017, 10:02 a.m. There are many types of holidaymaker; for example, those who want a cheap week away in the sun, those that love a cruise round the Mediterranean, and those who want a short action-packed city-break. But what about those who like to travel and stay in style? 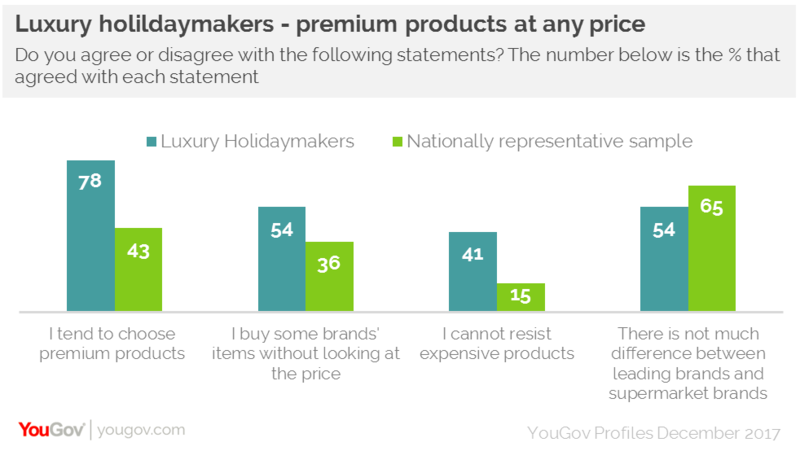 New analysis from YouGov Profiles reveals the characteristics of those who firmly regard themselves as a ‘luxury holidaymaker’. This group are passionate travellers who know what they want from a trip. Close to nine in ten (89%) say that they have at least one destination in mind or already selected when they are planning for their next holiday, compared to seven in ten (70%) of the general public. Close to three quarters (73%) say that they are passionate about travelling (vs. 55%). Getting away and having fresh experiences motivates this group. Over a third (33% vs. 27%) say that trying something new is important to them, while 46% are driven by the desire to see a new place, while 30% are excited by going on an adventure. And as we may expect, they don’t always care about spending a few extra pounds. Just under half (48%) say they try to keep a strict budget when they are on holiday, compared to 57% of the population at large. It is no surprise that the cost of a holiday can mount up – 12% of this group spent more than £2,500 on their last trip (compared to 3% of the public). Luxury bookers are more inclined to use package booking services than the average holidaymaker. Almost four in ten (39%) used one for their most recent booking, compared to just over a quarter (27%) of the population as a whole. 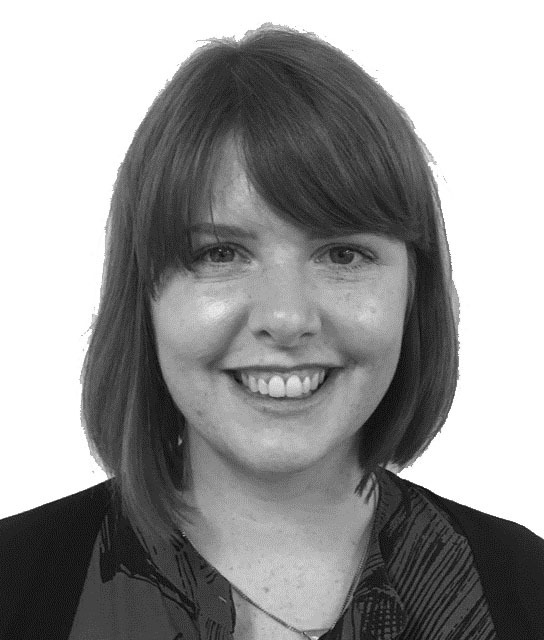 However, they are as likely (59% vs 60%) as the general public to book accommodation and transport independently, suggesting they are willing to get involved in aspects of the organisation of their holiday. Those wanting a luxury trip are more likely than average to get inspiration from traditional brochures (21% vs. 13%), while travel supplements in magazines or newspapers can be powerful recruitment tool (13% vs. 7%). The most important decision of all may be where they stay. Here, the rating of the hotel matters far more to them (64%) than it does to the general public (35%). A similar percentage (63%) value the facilities the hotel has (against 46%). For some, the pre-flight wait in the airport can be somewhat torturous. However, luxury travellers want to make the most of this time. Over half (51%) say they try to shop in the duty-free section (vs. 37%), while over a quarter (27%) take advantage of an airline lounge (vs. 15%). Over four in ten (44%) will eat in a restaurant (vs. 32%), though they are slightly less likely to head straight for the nearest bar (17% vs. 19%). Luxury holidaymakers enjoyment of the finer things in life is reflected in their retail habits and backed up by their comfortable financial situations (83% say they manage their finances well, vs. 73% of the population as a whole). Close to eight in ten (78%) tend to choose premium products and services, compared to 43% of the public that say the same. This is reflected in their admission that they cannot resist expensive products (41% vs. 15% of the public), and, similarly, that they buy some brands without even looking at the price (54% vs. 36%). They also tend to have a high opinion of themselves. Three quarters (76%) believe they are well-dressed (vs. 60%), while over four in ten (42%) think that they are more sophisticated than most other people (vs. 28%).